This Berwyn Income fund use its assets to purchase corporate bonds, U.S. Treasury bills, bonds and notes, debt securities issued by U.S. government agencies, preferred stocks, asset-backed securities, mortgage-backed securities, municipal bonds and dividend-paying common stocks. The current yield is 2.35%. The total net assets are $2.5 billion. Its expense fee is 0.61%. Top 3 sectors are technology, financial services, and industrials. Top 4 holdings are Nuance Comms Cv 2.75%, Sony Corp ADR, Wex 144A 4.75%, and Nokia 6.625%. 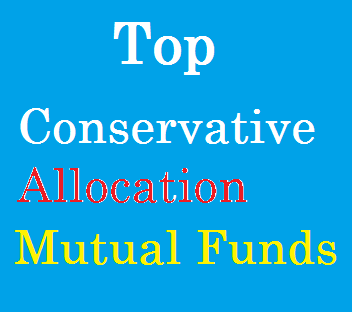 The Vanguard Wellesley Income Fund is a popular conservative allocation mutual fund. This balanced fund invests in investment-grade corporate, U.S. Treasury, government agency bonds, and dividend paying common stocks. The annual expense fee is 0.25%. Total net assets are $41 billion. It also has a high yield of 2.90%. The fund managers are John C. Keogh and W. Michael Reckmeyer. Morningstar has ranked this best conservative allocation mutual fund with 5 star and gold rating. It has returned 8.51% over the past 3 year, and 9.01% over the past 5 year. This Franklin Income Fund has $92.4 billion of assets. This conservative allocation fund has a sales load of 4.25%. Its expense fee is 0.61%. This mutual fund invests in debt and equity securities. You can buy this balanced fund from 132 brokerages. The current yield is 5.02%. Top 3 sectors are utilities, energy, and basic materials. Top 5 stocks are Royal Dutch Shell PLC ADR Class A, Target Corp, General Electric Co, Pfizer Inc, and BP PLC ADR. For the past 10 year, it has an average return of 7.05%.